MiniTool Partition Wizard Review - Another Partition Manager? Or...? MiniTool Partition Wizard Review – Another Partition Manager? Or…? I truly belief that MiniTool Partition Wizard is a good Partition manager for Windows, the free version has more then enough features for home users, however if you wish to do some more advanced things you will need the professional version which comes at this moment for 39 dollars for a single license, which is quite expensive. MiniTool Partition Wizard is an easy partition management tool designed for people who know a lot about partitions but also designed for people who know nothing about it at all, it's a user friendly program with a great set of features! I had the chance to take a look at MiniTool Partition Wizard. It is basically what the name says, a Partition Wizard. So what makes it so special? Why should you use it and buy it? Let’s take a look at the software, what are the features? and should you use it? The software can do a lot of things, and that makes it quite interesting for consumers and professionals. We won’t test all the features, that would be just too much and the article would hit 5 pages. However there are some interesting features that we will highlight. The MiniTool Partition Wizard includes some fantastic features such as the ability to rebuild the MBR (Master Boot Record) and convert partitions from NTFS to FAT and the other way around. This can be very handy in some cases, and a feature I love a lot. 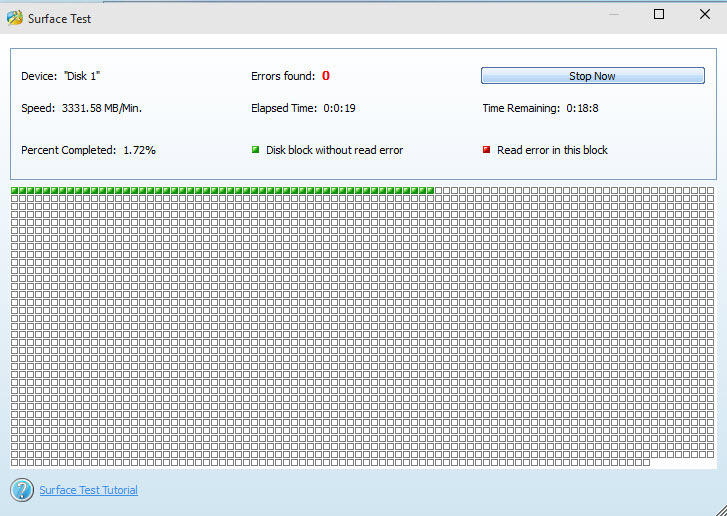 Sometimes your computer is becoming slower and slower, things start acting up and your computer just doesn’t feel healthy anymore, like many people know this could be a ram issue, but it could also be a Hard Disk error, with the Surface Test tool in the MiniTool Partition Wizard you are able to diagnose if your hard disk is indeed failing. Overall we can say that the MiniTool Partition Wizard has a nice set of features, and we are impressed that they were able to put that many tools in a single piece of software, I’m personally always afraid that more features result into less quality of the features but in the test I wasn’t able to find any feature that they should have put more time in. If you looking for a feature rich Partition management tool, then MiniTool Partition Wizard won’t let you down! If we going to talk about ease of use, then I must be honest, the tool includes a lot of features and that is great. However, some tools cannot be used if you do meet X requirements, for example “Migrate OS to SSD/HDD” when I choose that in my VM (Virtual Machine) environment I get the error that I need 2 hard disk for this tool. Yes I knew that, but why is the option even active? why can I click it? grey it out, make it inactive. In my opinion features that cannot be used should not be shown as Active and Usable. Other than that, the software is very easy to use and if you have no real Windows experience and just need it to work and be simple, then the MiniTool Partition Wizard is easy enough to use. The software helps you through all the steps where necessary and makes sure you as the end-user know what is going to happen and what will be the result of it. MiniTool Partition Wizard is an easy partition management tool designed for people who know a lot about partitions but also designed for people who know nothing about it at all, it’s a user friendly program with a great set of features!